This week the last St Kildan died. 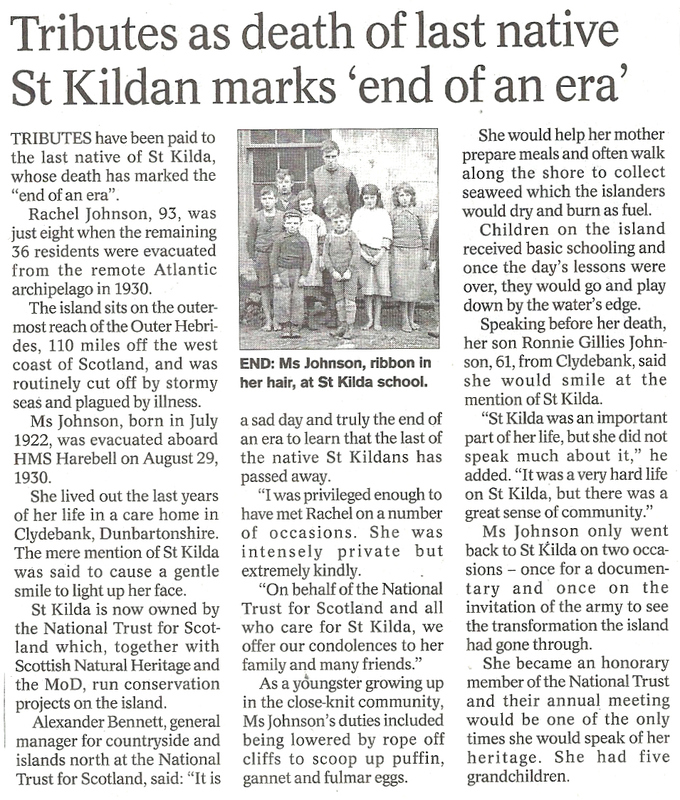 Rachel Johnson was born on St Kilda in July 1922 and was 8 years old when the island was evacuated. In my job as an NHS doctor for our elders I have found that childhood memories not only remain but become more vivid with age. This is generally true even for those diagnosed with dementia. This film is for Rachel Johnson. Let her anchor go. Next Post How did a statue of Beethoven end up at the back of Renfrew Street, Glasgow?